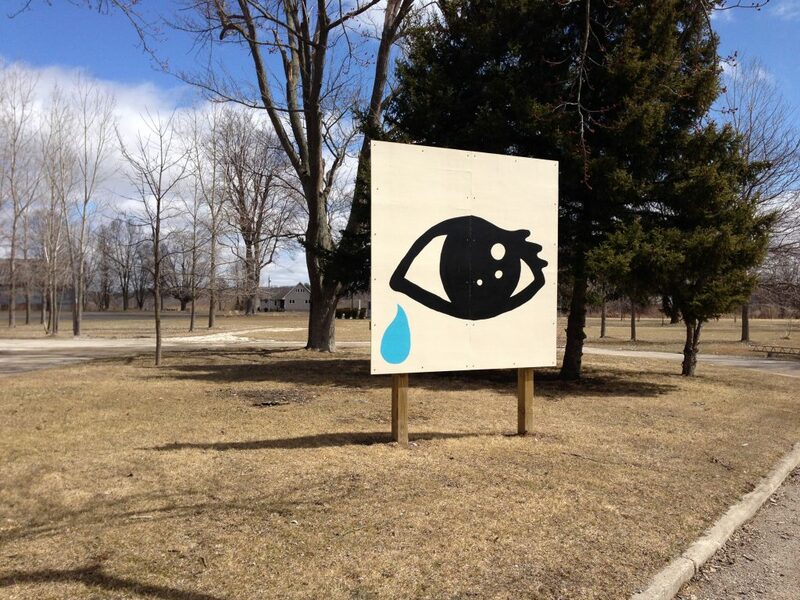 Set along the Deshkan Ziibiing or Thames River in Chippewas of the Thames territory, in recognition of bicentennial commemorations of the War of 1812, thirty-one barn murals depicting quilt blocks from the Native Women’s Trail of Tears Quilt are situated in and around the community. They are powerful and timely representations of the First Nation warriors’ and their families’ lives facing adversity during the time of Canada’s beginning as a country. 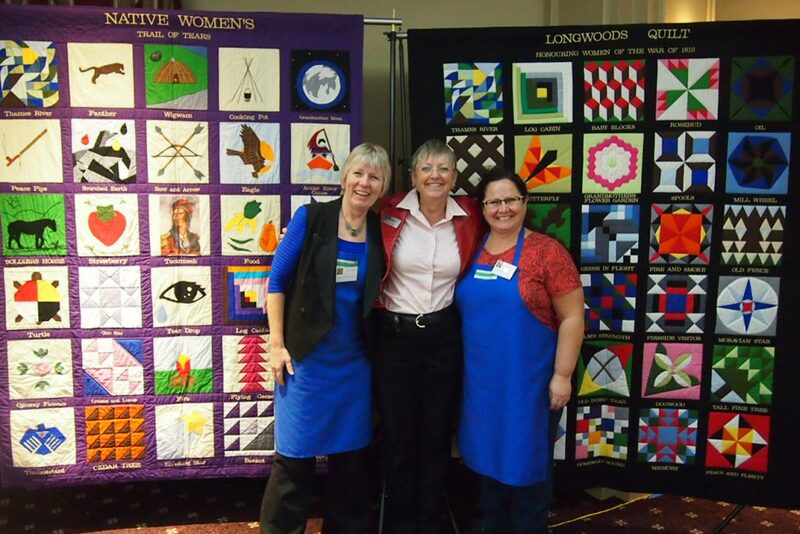 Thirteen quilters representing Anishinaabe, Haudenosaunee and Lenape Nations of the southwest region of Ontario quilted beautiful images reflecting traditional knowledge and historical events from the perspective of Anishinaabe Kwewag (pronounced kway-wug, in Ojibwe, meaning women). Thirty-one quilt blocks were designed and sewn using traditional quilt block design techniques and appliqué to tell the stories of First Nation women and their children as they might have experienced life during the beginning of the 19th century. For example, the quilt block entitled ‘Cedar Tree’ made by Leona Hendrick, Chippewas of the Thames citizen, depicts one of the four sacred medicines of the Anishinaabe. Cedar protected families from disease and resembles the traditional indigenous knowledge grandmothers handed down to their daughters to protect their families. The forest was their shelter and protector and women knew the gifts of medicine the forest afforded them during this time of great need. Not always far from the skirmishes taking place during the war, the women tended to the injured and recovered the dead. Villages were being plummeted and burned and families were in jeopardy of overexposure to the elements. The women had to work quickly in times of great strife to provide care and comfort to those in need. The cedar tree represents this story on the Native Women’s Trail of Tears Barn Quilt Trail starting on Longwoods Rd. near Muncey, Ontario (25 minutes southwest of London). Through invitation from the Longwoods’ Barn Quilt Trail quilters, Alfreda Henry, Chippewas of the Thames citizen and quilter, gathered other quilters together over the span of a year to design quilt blocks that would tell the story of the time period from a First Nation women’s view of the world. 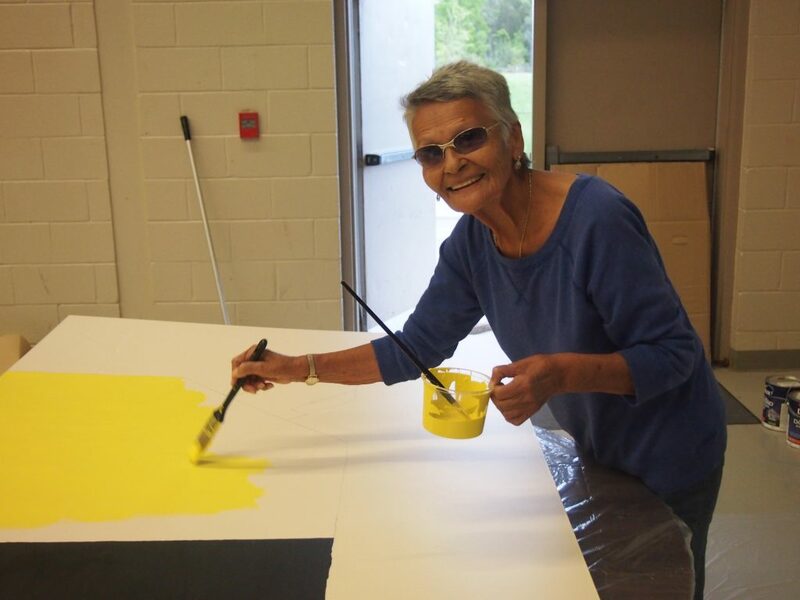 Shirley Baker, Delaware First Nation citizen, one of the quilters, stated, “we sought to find a balance between the tragic circumstances of their lives at the time by including images of resilience fed by the rich cultures of these nations. That is why you see attention paid to the earth, food, culture, arts and medicine in the overall design of the quilt.” They named the quilt the Native Women’s Trail of Tears Quilt because of the many tears that must have been shed by First Nation families during this time. It will travel along with the Longwoods Honouring Women of 1812 Quilt created by quilters from neighboring counties which tells the stories from a settler woman’s point of view. Once the quilt was complete, 51 volunteers consisting of Chippewa, Oneida, Delaware Walpole Island and Munsee-Delaware Nation community members came together over several three day weekends to transfer each block design onto 8 feet by 8 feet wood panels. Local artists, Nancy Deleary, Danielle Burch, Justin Hendrick, Dade Stonefish, Shelby Soney, Aysia Grosbeck, and Thomas Brown enlarged the designs for others to paint in. Diana Jedig has been the anchor of the project by finding sponsors and funders to cover the costs of the project and organizing dates, times, locations, food and volunteers for the various stages to needed to complete such an important project. The Tecumseh barn quilt was the first to go up on the 119th anniversary of his death, October 5, 2012 at Jubilee Road and Muncey Road. All of the barn quilts were posted and standing by July 2013. This has been a project spanning almost two years. The nation has supported in terms of hosting many of the quilt panels, digging holes using government trucks and staff and set the poles, as well as providing significant funding support. The response from the community has been overwhelming. The impacts are far reaching. Some quilters and Maxine Hendrick have been taking the quilt to community events such as the London Harvest Festival, Chippewas of the Thames Traditional Gathering, Harvest Ceremonies Three Fires Midewiwin Ceremonies, War of 1812 Film Screening and Research Panel at Museum London, and Remembrance Day Celebrations to name a few to tell the quilt’s story. In turn, a great awareness of the War of 1812 and First Nation involvement occurs and neighbouring communities, Aboriginal and non-Aboriginal, are building stronger bridges for partnership and awareness. A community social night and a recognition night saw quilters come together from Wardsville, Mount Brydges, and other rural communities for the first time in a First Nation community for a social. The Chippewa Barn Quilt project in conjunction with the Longwoods Barn Quilt Trail project has been carried out in a spirit of reflection, renewal, and relationship building between many rural communities and Chippewas of the Thames First Nation. The partnership serves to address the need for all Canadians to better understand the contributions of Indigenous peoples to the story, present and future, of this country.